Cats Fun has been officially retired after a wonderful career. He raced over the jumps on 26 occasions for 5 wins, 8 seconds, 3 thirds, 5 fourths and 3 fifths with Jumps prize money totalling $263,833. He gave all of us a lot of thrills, including the memorable two horse race at Warrnambool, as well as winning last year's Brierly Steeplechase at the Bool. 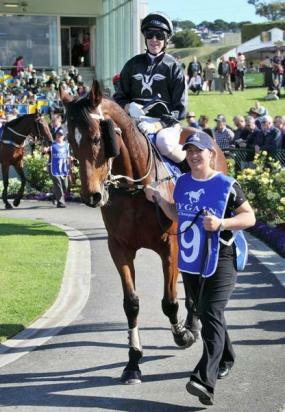 Before that he was a very accomplished flat galloper, winning the WA Derby and Perth Cup. Thanks must go to our staff, especially Kirsty McMahon (who will spoil him in retirement) and Brad McLean who rode him with skill and courage. Cats racing days are over but the memories will last a lifetime, as will the great sport of jumps racing.